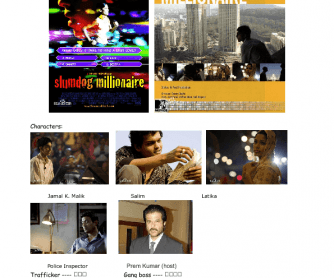 A movie worksheet about the film Slumdog Millionaire, which won 8 Oscar awards. 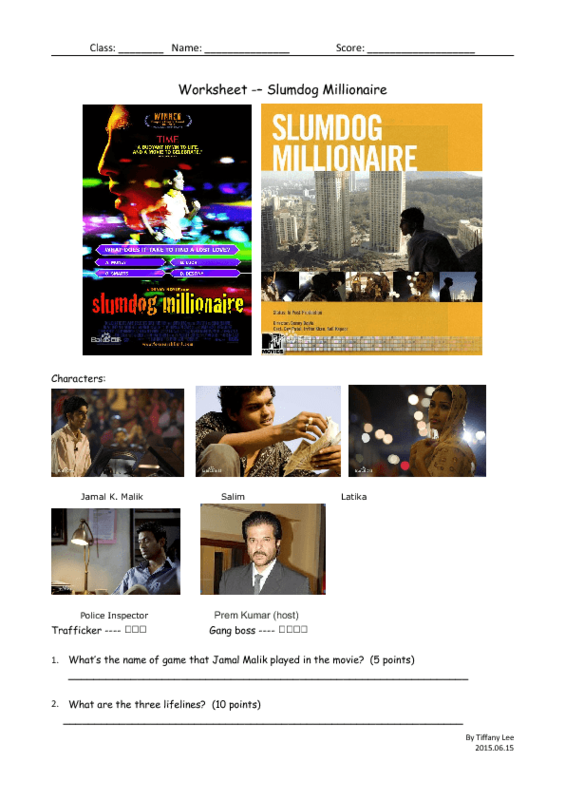 The worksheet contains some multiple choice, and some questions which require the students to write down their personal feelings after watching the movie. Scores are given to each item.